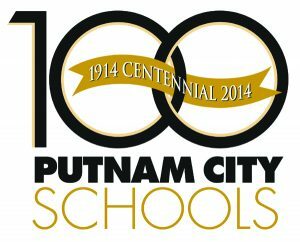 The Putnam City Schools Museum 100 Year Centennial Book is now available! You can buy them at the museum during the museum open hours which are Saturdays, 10 am to 2 pm, or order them and pay by check. 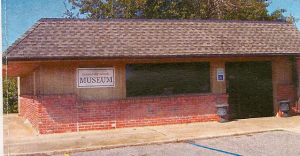 You can also buy and pay for them with PayPal through the museum website at www.putnamcityschoolsmuseum.com (refresh your browser to see the new museum site) Until the new Museum site is up with new PayPal you will have to just enter the price of your book depending if you are out of state or picking up so no postage. See prices below. Extended Museum hours are Saturday, Oct 27th, 9 am to 4 pm and Sunday, Oct 28th from 2 pm to 5 pm. You can buy the Centennial Book then also. 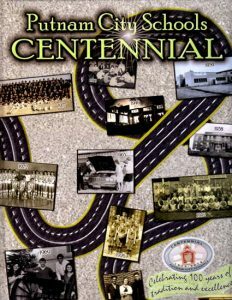 Go to the Centennial Page on the museum website HERE to buy with PayPal. Each book contains a DVD in the Binder for it with Yearbook covers and Senior pictures for all 3 High Schools up to 2014. It also contains the Graduation lists for all of these years for all 3 High Schools. Fill out the form below and please submit no later than November 15th to Gloria Quaid, [email protected], or mail to Gloria Quaid, 10 Cosmos Ct., Santa Fe, NM 87508. Nominations must be received by that date so that all members of the committee can receive the forms and have an opportunity to fairly evaluate each nomination overall description of the nominee. There are also Yearbooks from all 3 High Schools and some of the other schools in the district that are for sale by way of a $20.00 donation. These have been donated by Putnam City Alumni throughout the years and are in excess of those in the Museum. These can be obtained at the Putnam City Museum during open hours Saturday 10 am to 2 pm. Special hours for All School Reunion weekend. Oct 27, 9 am to 4 pm and Oct 28, 2 pm to 5 pm.